As any East Coast transplant will tell you, fried peppers in general and Long Hots in particular are a critical component of the best sandwiches, as well as dogs, dips, eggs, and, well, certainly most savory foods involving meat and/or bread. 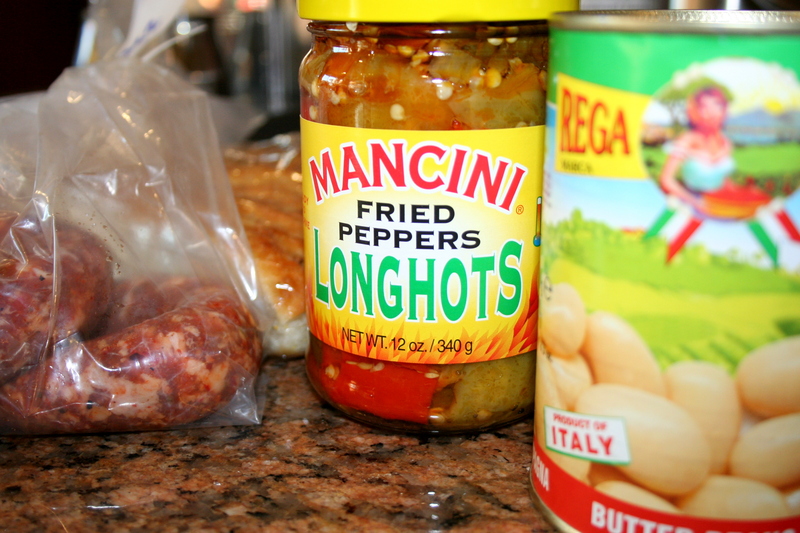 They are also notoriously difficult to find here in San Diego, which is why I was so excited to stumble across a jar of Mancini Fried Long Hots on a recent trip to Little Italy. 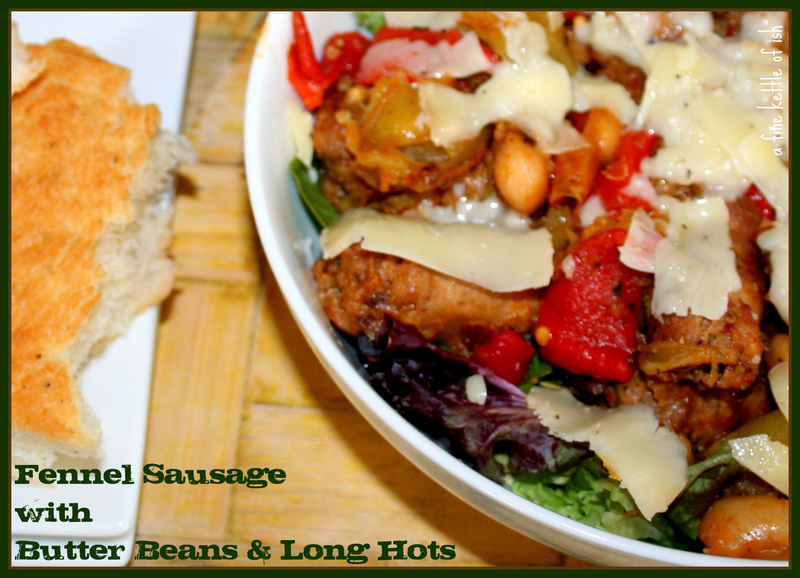 Serendipitously located on a shelf next to some butter beans, I grabbed two jars of each, a pound of hot fennel sausage and a beautiful loaf of focaccia, and scurried home to start dinner.